Arnold Ahlert: Who speaks for us? We want to live in a nation where states’ rights are once again paramount, where 50 separate constituencies would be given maximum freedom to innovate, to compete, and do anything else to improve the lives of their citizens without the interfering heavy hand of the District of Columbia. A nation where people intuitively understand government operates best from the local level outwards, not the federal level inward. Who speaks for us? As for the next two items, it’s important to note the critical distinction between providing for the commence defense and promoting the general welfare. It is the government’s constitutionally mandated duty to provide protection for the nation. It is not the government’s duty to provide for the peoples’ welfare, but rather to promote the conditions that allow a free people to provide for their own welfare, that of their families and those Americans who are truly in need. As for the blessings of Liberty, the implication is clear: There is a higher power from which those blessings are secured and it does not emanate from Washington, state legislatures or local governments. As Thomas Jefferson so eloquently explained in the Declaration of Independence, all men are “endowed by their Creator with certain unalienable Rights.” There are millions of Americans who cherish that wisdom, even as they still understand it is the ultimate foundation of the greatest nation ever devised by man. Want to be a credible scheduler? 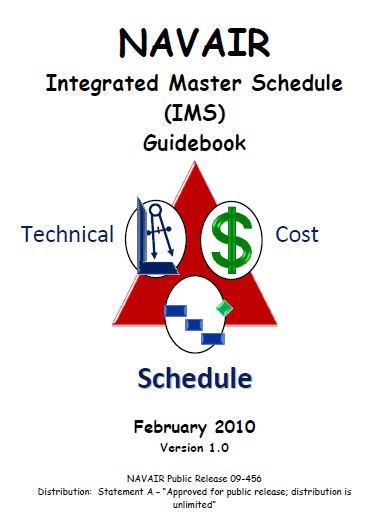 Here is a handbook for developing credible Integrated Master Schedules. There are many suggestions but this one comes from the place where schedules are critical. 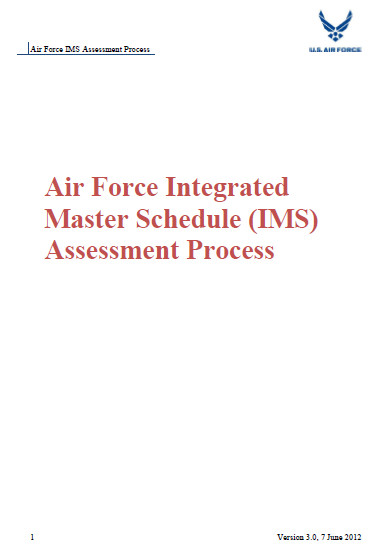 Once you have your credible Integrated Master Schedule, you’re going to want to keep it that way and assess its credibility. With these two documents, you’ll have a starting point for creating schedules that actually describe what done looks like in units of measure meaningful to the decision makers. Ultimately, completing your entire program means that all program work is completed and your program benefits are accruing. This means you are in the last phase of the program and ready to “shut ‘er down” for good. Program closure is its own phase in the program management life cycle, and is ideally performed after all program components have been completed and successfully transitioned to operations. Of course, closure also occurs for the program components. Along the program life cycle, its component projects and other work are started up, worked on, completed and transitioned to operations. Completing a program component means that a constituent project or non-project activities of the program are complete and the incremental benefits from them may be accruing. There are many things taking place when a program or a component project within a program closes. The Transition Plan, developed as part of program planning and updated as individual projects are selected, is where you plan for both program and project hand-off and closure. It is always amazing how many times the transition plan is incomplete or not followed at the end of a program. It’s kind of like wrapping a gift and then not adding the ribbon and a card to the recipient. Low quality program closure impacts everyone and everything downstream, including operations as well as subsequent programs that cannot build on your experiences. When a program is complete and ready to be transitioned into operations, there are a number of deliverables to produce and some meetings to schedule as well. At a minimum, you should expect to build a program closure report, hold final performance reviews with the team and stakeholders, populate your program archives, document and report on your lessons learned. I am a big fan of getting formal sign-off and acceptance of the program outcome by the program sponsor and/or customer as well. Any remaining program-level contracts will need to be closed out as well. A post-review meeting should be scheduled with your key program stakeholders to review program performance and benefits realization. On most programs using today’s technology, many if not all of these activities will have to be performed and shared electronically since your key program team members and stakeholders may not be in the same physical location. When closing a component project of the program, your project managers will have some work to complete as well. They will update their project archives, reassign their remaining available resources, make sure all project deliverables are accepted and report on lessons learned. Formal sign-off and acceptance of the project outcomes by the program manager is also required. How do you make sure they complete all these activities in a timely fashion as your program marches forward? Additional things you will need to do when wrapping things up includes returning or reassigning your program and project resources, evaluating individual and team performance and making sure to initiate benefits realization measurement for the program now that everything is operational. Are all program or project deliverables complete? Are all lessons learned log and reported on? Is the end program or project report complete and reviewed? Has the customer accepted all program or project results and other associated deliverables? Have all costs been appropriately charged to the program or project? Are all work packages and work orders complete? Do any incomplete work packages exist? Are incomplete work packages documented? Are all administrative closure activities done? Is the program or project management plan archived with supporting data? Are stakeholders aware that the program, project or phase is ending? Are auditing, support, and maintenance procedures in place? Are program or project team members reassigned or pending reassignment? Don’t forget those lessons learned when you are closing your program! Lessons learned tell us what worked well and what didn’t work at all as well as everything in-between we feel future teams and the business needs to know. Lessons learned offer opportunities for us to gather, document and apply lessons on future programs and projects and do things better (or differently) next time. At a minimum, it is recommended that you gather and document lessons at the end of every program phase and at the completion of each project. The contents of your lessons learned log should be used to create your program’s lessons learned report. Your government believes that the best way to eradicate trillions of dollars of debt is to spend trillions more of our, or borrowed, money. A seven year-old boy can be thrown out of school for calling his teacher “cute” but hosting a sexual exploration or diversity class in grade school is perfectly acceptable. Hard work and success are rewarded with higher taxes and government intrusion, while slothful, lazy behavior is rewarded with EBT cards, WIC checks, Medicaid, subsidized housing, and free cell phones. You have to have your parents’ signature to go on a school field trip, but not to get an abortion. An 80 year old woman can be stripped-searched by the TSA, but a Muslim woman in a burka is only subject to having her neck and head searched. On Monday, June 25, 2012, the following occurred: The Supreme Court unanimously—yes, UNANIMOUSLY—upheld the portion of Arizona ‘s Immigration Law that directs law enforcement officers to check the immigration status of EVERYONE who is ARRESTED for a crime. It not just “ALLOWS” them to check, but “DIRECTS” them to check. That means it’s mandatory. Less than three hours later, the President of the United States issued an executive order BLOCKING THE ENTIRE STATE OF ARIZONA’S ACCESS to the Federal Database that would allow such checks, the only State or Local entity EVER to be blocked. One hour after that (which means they had it all ready in advance), the Department of Justice went live with a toll-free number, a web site, and ads, ASKING FOR PEOPLE TO REPORT BEING “RACIALLY PROFILED” because of this ruling, so they—THE U.S. JUSTICE DEPARTMENT—can file “Civil Rights” lawsuits against the Police Departments, Sheriffs, Cities, Counties and State of Arizona . In other words, the American Citizens of the State of Arizona are going to be sued for vast sums of money, BY THEIR OWN FEDERAL GOVERNMENT, for enforcing a law that The Supreme Court UNANIMOUSLY held as constitutional. Is it just me, or is this getting ridiculous? To avoid making purchases I’ll only regret later, I created a list of 14 questions I ask myself before I buy. They’re designed to cut through the consumer noise and get at the true value of the item or the true motivation behind purchasing behavior. The questions don’t fit every buying situation, but they work most of the time. 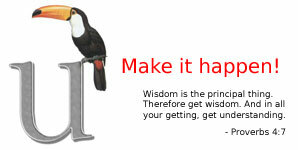 Amend as needed and watch your regrets and credit card bills shrink. 1. Can I get this at a better price somewhere else? Are you shopping at the right place to get the best price? Is there a less-expensive retailer in your area that you haven’t checked out? 2. Can I get this at a better price at some other time? Are you buying your lawn furniture in the spring or waiting until autumn when there are deals to be had? If your timing is predictable, retailers have you right where they want you. 3. Do I already own it? This may seem like an odd question, but often we buy replacement items when we can’t locate things we already own. Does your home need an organizational makeover? Is it time to declutter and discover the wealth of items you already own but can’t find in all the chaos? 4. Is this product about to be improved upon? This is a tricky one. On one hand, if an object is about to be improved upon, you may want to wait for the more feature-rich model to come out and avoid upgrades later. On the other hand, older models tend to decrease in price when new versions are released and there are deals to be had if you can postpone the purchase. In either case, biding your time can pay off. 5. Can I borrow this product from someone else or buy it used? Is it even necessary to buy an item or, at the very least, buy it new? Can you borrow a vacuum from a neighbor for that single room in your home that’s carpeted? If you hit a few yard sales this summer, could you find a good used vacuum for pennies on the dollar? 6. Does this product make my life easier or more complicated? It took a brilliantly evil mind to reinvent the broom by attaching a glorified paper towel to a stick and making a simple device something that required constant refills. Any product that promises to simplify your life by eliminating a single object you already own and replacing it with an object you must “feed” should be relegated to the dustbin of history. It’s not cost-effective and definitely not simple. 7. Does this product function independently or require add-ons to work? Are you buying a single product that works on its own or one that requires more features, attachments, and upgrades to do the job? Avoiding wallet-hungry products is the best way to go. 8. Do I have to use credit to pay for this item and is it worth it? Even the best deals are soured once you factor in credit card interest. If you have to use credit to pay for an item (and can’t pay that credit card bill off completely during your next billing cycle), the deal better be worthy of a Facebook status update. 9. Am I an educated consumer of this product? It’s about time the Information Age did something more than show us funny videos of dancing cats and giggling babies. Use the tools available at your fingertips to research consumer data on products before you buy. Leverage the power of communication to make smarter buying decisions. 10. Is there another product that’s just as good and less expensive? This question requires an understanding of how you’ll use the product based upon your habits and behavior. Do you need the deluxe MP3 player if you’re just using it while you jog for 30 minutes a day? What’s a simpler, less expensive solution that would fulfill your specific needs just as well? 11. Will this product still be useful in six months or a year? Fast-forward through the life cycle of this product and see where you envision it in six months or a year. Be realistic — Is it still being used? Has it become abstract lawn art? Is it in the garage with the rest of the yard sale stuff? 12. If I waited two weeks, would I want this item just as badly? In other words, is this an impulse buy? Is this something that you truly need or just feel compelled to buy at this moment? 13. Does this product carry a warranty? What’s your recourse as a consumer if this item doesn’t work or malfunctions after purchase? Is the manufacturer confident enough to provide a warranty, or are you on your own the minute you hand over your cash? 14. Is this product disposable when there is a non-disposable solution? This question focuses on the environmental and budgetary impact of what we buy. Opting for reuse and rejecting single-use items whenever possible may be slightly less convenient, but more beneficial for our planet and our pocketbooks. As we all try to leverage the power of our dollars, screening our purchases through the filter of tough questions can be the smartest thing we do for our budgets.